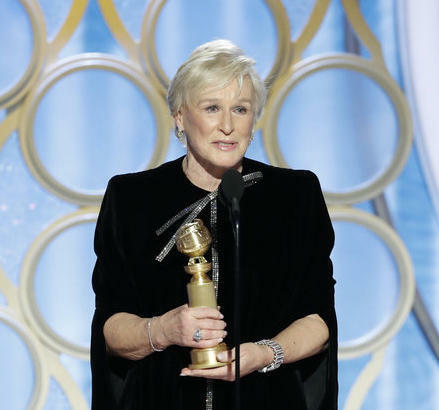 Glenn Close will play the family matriarch in "Hillbilly Elegy." Basso, 24, will join Academy Award winners Glenn Close and Amy Adams in the film to be directed by Ron Howard for his Imagine Entertainment company. The St. Louis native has appeared in The Whole Truth with Keanu Reeves and Renee Zellweger, Ithaca with Meg Ryan and Sam Shepard, and director J.J. Abrams' Super 8. From 2010-2013, he played Laura Linney's son on Showtime's The Big C. His TV credits include Perception, The Middle and iCarly. Netflix describes the film this way: "Based on the bestselling memoir by J.D. Vance, Hillbilly Elegy is a modern exploration of the American Dream and three generations of an Appalachian family as told by its youngest member, a Yale Law student forced to return to his hometown. 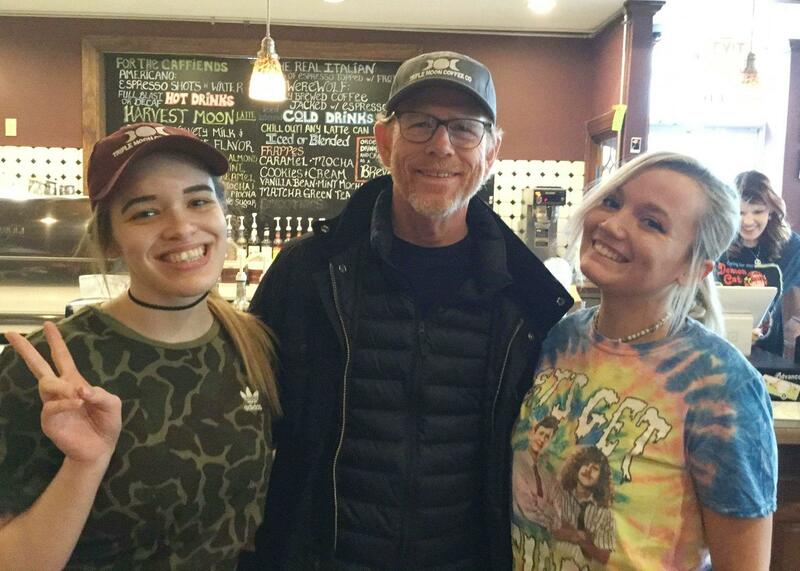 Ron Howard at Middletown's Triple Moon Coffee Co. on March 25 with employees Dianah and Cortney. Credit Courtesy Triple Moon Coffee Co.
As I reported last week, seven-time Oscar nominee Close will portray "Mamaw," the "resilient and whip-smart matriarch of a southern Ohio family." Adams, a six-time Oscar nominee, will play Bev, the author's addiction-riddled mother. Imagine acquired the rights to Vance's book in 2017. Netflix is paying $45 million to finance the film, Variety says. Howard, an Oscar winner for A Beautiful Mind, in March made his second visit in six months to the Triple Moon Coffee Company in downtown Middletown. The Triple Moon posted a 90-second video April 11 on its Facebook page asking Howard to film Hillbilly Elegy in Middletown. The coffee shop asked people to share it with the hashtag #MakeitinMiddletownRon. Vance, a 2003 Middletown High School graduate, published the best-seller in 2016 about growing up poor among working-class "hillbillies" in the Southwestern Ohio steel town. After high school, he enlisted in the U.S. Marines and served in Iraq. Vance returned to Ohio and studied political science and philosophy at Ohio State University, and later earned his law degree from Yale in 2003.